When you’re out shopping for a new flashlight, it’s only a matter of time until you realize that you do see “Surefire” flashlights quite a lot on the shelves. So the question isn’t why get a Surefire flashlight, but it’s more about which model to get. Let’s get you through some details on Surefire flashlights. These flashlights are made with high-strength aerospace aluminum alloy so they take very well the impact, crushing, or bending. The typical Surefire flashlight is small, yet lightweight and strong. You do find models made of Nitrolon polymer that are actually lighter and more comfortable to carry on a cold day. Either material you choose, you can’t go wrong. When we talk about the light output of Surefire flashlights, we notice how the beam has a more useful configuration. Jumping over some technical aspects, the light is strong and adjustable to your specific needs every single time. 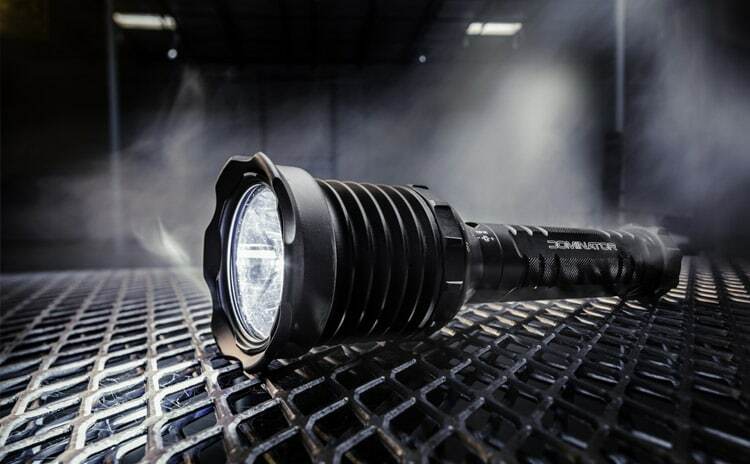 Some Surefire flashlights use LEDs as a light source, whereas others use HID (High Intensity Discharge), and these latter ones tend to be more expensive. Surefire flashlights are much about the build and the “window” that protects the reflector and emitter from debris and water is made of tempered, coated Pyrex glass. As for the batteries, the Surefire flashlights use Surefire 123-type Li batteries. Most of the models use these non-rechargeable batteries as they run for a long time, are lightweight, and work well at extreme temperatures. As a side note, you can use regular CR123A batteries in Surefire flashlights, or you can use Surefire 123 batteries in your CR 123 flashlights. You will also find Surefire flashlights running on rechargeable Li-Io batteries that are stronger than the 123A Li batteries. It’s not difficult to understand why the Surefire flashlights are so popular. You just need to know better why you need one and how much you’re willing to spend on it. Small and easy to use, the SureFire G2X Series LED Flashlight is one of the most popular Surefire flashlights out there for very good reasons. The flashlight is made with strong Nitrolon polymer and Mil-Spec hard-anodized bezel, which results into a long lasting, tough flashlight that’s always ready to take a beat. The strong polycarbonate window is resistant to impact, whereas the O-ring is weatherproof and the gasket is sealed. The flashlight presents also a wide temperature tolerance and its built-in heat and fault (short-circuit) protection is efficient. The LED emitter gives great light output and the flashlight offers you two output levels. The maximum light is 320 lumens and has 15 lumens for longer runtime. Its parabolic reflector gives a nice, optimized beam and the range cover is pretty good. The dual-output tail cap click switch is responsive and makes use a breeze. On the other hand, the switch isn’t over sensitive so the risk for accidental operation is minimal. We like the ergonomically design of the flashlight that is so easy to hold. It has compact and small shape so you may store it so easily. Nevermind the minor issues though as, for the tough build, good beam and compact shape the flashlight is quite a good reason for which you should buy a Surefire flashlight without overthinking it. If you’re looking for a good keychain flashlight, you should give a try to the SureFire Sidekick 300-Lumen Ultra-Compact Triple-Output Keychain Light, Black. The flashlight is compact and has a Polymer body that is weather resistant. Lightweight, the flashlight features split ring for easier attachment to your keys or carabineer clips. It always very easy to access and it’s so versatile. The LED is high quality and the faceted reflector gives wide, nice MaxVision Beam. The easy-click type switch lets you use one of the three-output levels, by pressing repeatedly. The range of the light goes up to 50 meters and the beam is nice and warm. The flashlight is easy to use and its sidekick is easy to use even by children. The programmable switch is efficient and dependable for all situations. A special feature of the flashlight is the Micro-USB charging port that allows you to easily recharge the Li-Io battery. The flashlight has a tough body made of strong aluminum. Not only the body is strong, but it also takes impact and intense use rather well. Either you use it for emergencies or regular purposes; the flashlight is a great option from Surefire to use as keychain flashlight. No matter the minor cons, we still like the flashlight for its versatility and ability to attach it to keyrings. Presenting two output levels, the SureFire P3X Fury Dual-Output LED Flashlight with anodized aluminum body doesn’t fall far from the Surefire tree: small, tough and reliable in so many situations. The flashlight comes with a long lasting LED emitter that is regulated so that it gives maximum light output and runtime. You may choose to use the 600 lumens for the maximum light or the low of 15 lumens, when longer lasting batteries is more important to you. We like a lot the dual output tail cap click switch with lockout that prevents accidental activation. The micro-textured reflector gives nice, optimized beam, whereas the aerospace aluminum body gives resistance to the flashlight. The Mil-Spec hard-anodized body is built to last for a long time. The tempered window is also coated so it takes well impacts, improving the light transmission at the same time. 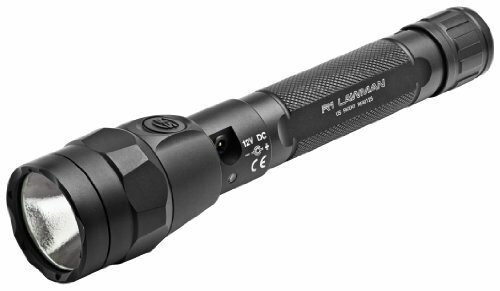 The flashlight is much about rugged build and long lasting features. The weatherproof O-ring and the gasket sealing add to the list of durability features, for sure. The knurled design ensures a good, steady grip that remains comfortable at all time. The flashlights feels lightweight and durable and the light is bright. The beam seems to be well focused and presents a good spread. There’s nothing bulky about the flashlight. You may easily fit it in your pocket when on the run. Despite the minor flaws, we’d still put the flashlight in our backpack when on the run for a hiking trip. 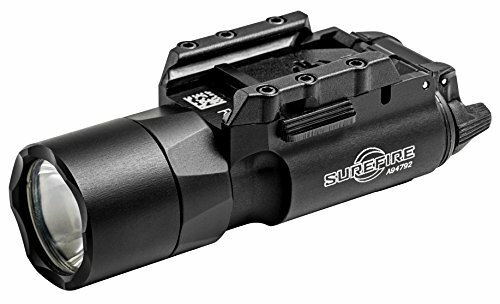 For those of you looking for a bright tactical light, a sure buy is the SureFire X300 Ultra Series LED Weapon Lights with TIR Lens. The flashlight comes with TIR lens so gives a nice, tight beam but with a good surround light for peripheral illumination. Many features on the flashlight make it a good choice when in need for a tactical grade light. The one-finger ambidextrous momentary and constant on switching is ergonomic, whereas the built-in aluminum T-slot mounting system ensures sturdy attachment to railed handguns and long guns. You may use it for the long guns with MIL-STD 1913 rails but also with the Surefire’s MR adapter mounts. The flashlight is made with high-strength aerospace aluminum and Mil-Spec anodizing. The tough body combines very well with the coated, tempered window so the flashlight is durable and ready to take some falls. The flashlight also takes DG pistol grip and XT remote long gun tape switches. Some features are very common for Surefire flashlights. It’s the case of the weatherproof O-ring and the gasket sealed. The flashlight also has a wide temperature tolerance and has a built-in heat and fault protections. Well made, lightweight and with intuitive controls, the flashlight is a great addition to your tactical equipment anytime. Nevertheless, for the good build and bright beam, the flashlight may be final addition to your tactical equipment. You may feel you’re paying the extra buck, but once you start using the Surefire R1 Lawman you realize it’s worth every single penny. The flashlight may surprise you with its very bright light, as it’s so typical for the Surefire flashlights to be rugged and well made. The impressive LED emitter, microprocessor that is regulated to give the highest output and runtime is no surprise. You may be stunt with the 1000 lumens light or even more than that. You may one of the three light levels: high lumen (1,000 lumens), medium (150 lumens) and low (15lumens). 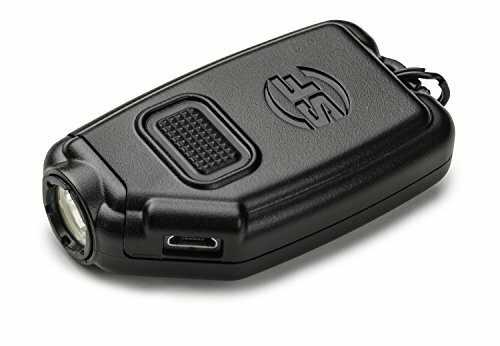 The flashlight also comes with a user-programmable tail cap and head switches that sustain the three light output levels. You may also use the tactical strobe mode when in need. Another practical feature we like on the flashlight is the dual fuel ability. You may use one Li-Io rechargeable battery or two disposable (and also easy to recharge) 123A cells. As for the fuel gauge is more than helpful to know the remaining battery power. The flashlight comes with wall (AC) charger with international adapters and car (DC) charger. 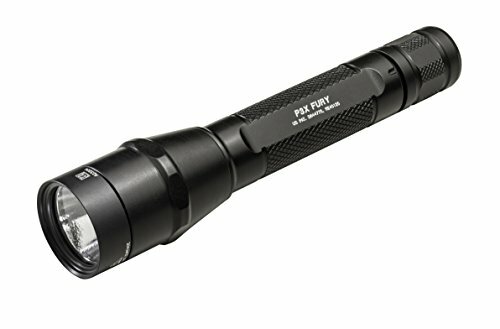 The aerospace aluminum body means the flashlight is ready to take the heavy-duty missions, for a very long time. The Lawman O-ring and gasket sealed protect against moisture, dust, and dirt. The flashlight is well balanced and is comfortable to use. All things considered, for the bright light and amazing build and features, the flashlight still stands out as a great Surefire option.